On April 26, 2018, the Florida Fish and Wildlife Conservation Commission (FWC) will vote on a proposal to kill the critically endangered Goliath Grouper. The proposal is labelled as a “limited take”. If approved, the take will allow the killing of 400 breeding adults. Such action will reverse 28 years of protection because it will decimate most of the breeding population in Florida: the mamas and the papas needed to restore the population. Goliath Groupers have no voice. They have no vote at the negotiating table. What can you do? You can be the voice of the voiceless and your courage to speak up will save the Goliath Groupers. First, watch this 7-minute video explaining the science-based evidence on why Goliath Groupers need continued protection. Second, do one or more of the following to tell FWC Commissioners Goliath Groupers must me protected and why. .- Attend the FWC public meeting on April 26, 2018, in Fort Lauderdale, FL. You can be added to the list of public comments, and you are assigned 3 minutes to speak up. Notice the meeting on the 26th starts at 8:30 AM and you need to sign up for your public comment before the start of the meeting. So getting there at 8:00 AM will give you enough time to do so. Let’s work together to save the gentle giants. The Diving Equipment and Marketing Association (DEMA), is the international trade association for the recreational scuba diving and snorkeling industry. 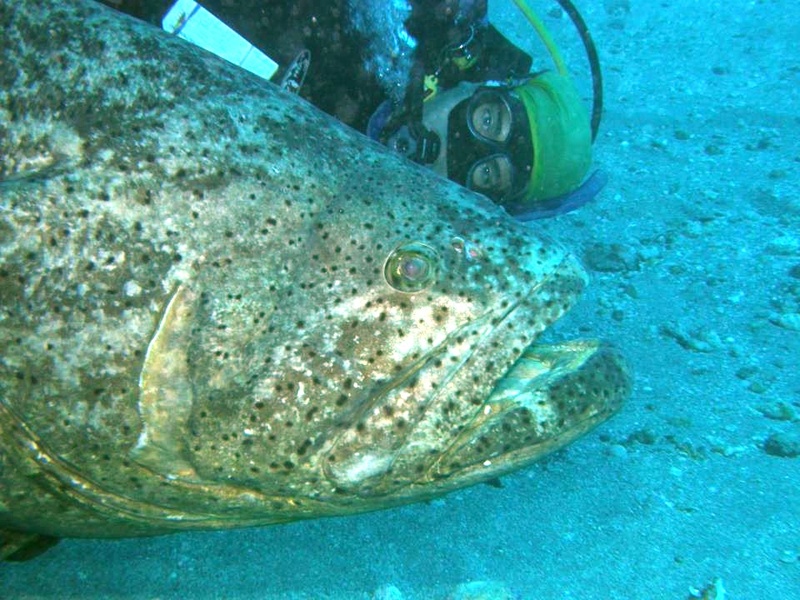 DEMA supports the continued protection of Goliath Groupers in Florida. Tom Ingram, DEMA President and CEO, recently wrote a letter to the Florida Fish and Wildlife Conservation Commission (FWC) regarding their proposal that, if approved, would allow killing the critically endangered Goliath Grouper. Today, Tom Ingram is my guest blogger. Here is the letter he sent to FWC, copied to Rick Scott, Florida Governor, Nick Wiley, FWC Executive Director, Bob L. Harris, Esq., attorney in Tallahassee and the DEMA Board of Directors. Having reviewed the “Goliath Grouper Review and Discussion” produced by the Florida Fish and Wildlife Commission (FWC) for presentation on February 8, 2017, as well as for Goliath Grouper Workshops slated for August through October 2017, I am writing to express our concerns regarding the possible lifting of the current moratorium on harvesting these animals. The Diving Equipment and Marketing Association (DEMA) is the international trade association for the recreational scuba diving and snorkeling industry. DEMA has more than 1,400 business members worldwide, and represents the interests of diving manufacturers, diver training organizations, the diving-related magazines and media, diving retailers and dive travel and dive charter operators. DEMA’s mission is to bring businesses together to grow the diving industry worldwide, and our goals include promoting recreational scuba diving and snorkeling, while protecting the underwater environment. DEMA is aware of the lead role FWC took in the 2013-2016 stock assessment conducted by the Joint Ad Hoc Council Goliath Grouper Committee. We applaud the FWC for this effort, and we support such periodic stock assessments when they include sound scientific inquiry and input from all user groups affected by any change in the current harvesting status. 1. Maintaining the current harvesting status of the goliath grouper in Florida; that is, harvest and possession should be prohibited. 2. FWC or NOAA (or another appropriate agency or scientific organization) should undertake a more thorough stock assessment of the goliath grouper that satisfies the need for accurate scientific data on stocks of these fish. 3. FWC or NOAA (or another appropriate agency or scientific organization) should conduct additional research on the age of these creatures, such that any future assessment would have more validity. 4. FWC should review its current regulations to determine if protections for goliath grouper could be implemented commensurate with protections afforded to manatees. DEMA’s position is taken in recognition of FWC’s own list of assessment challenges and the 2016 conclusion that information needed to generate an accurate model of the fishery was missing. Without solid scientific evidence of recovery, it appears that the goliath grouper remains vulnerable to overfishing due to (among several reasons) late maturity, slow growth and is subject to large scale mortality. 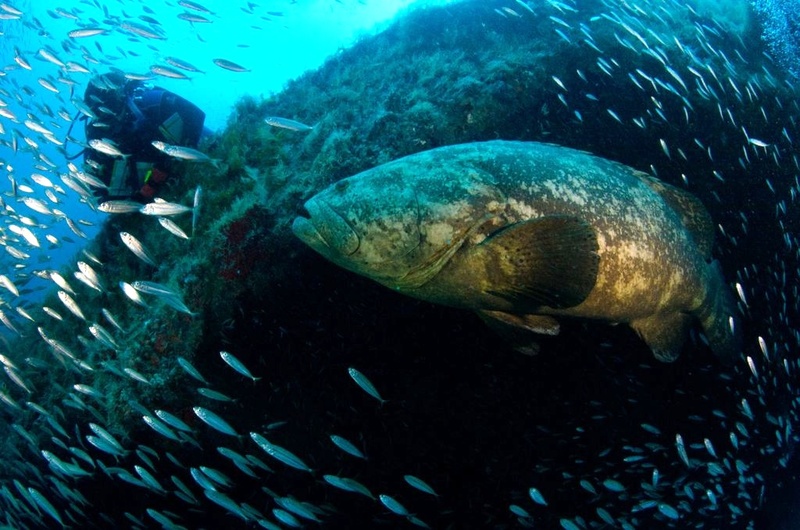 As the Commission is also aware, over the last twenty-seven years during which harvesting was prohibited, goliath grouper have become extremely popular hosts to underwater habitats and are mentioned frequently by visiting/tourist divers who greatly enjoy watching these remarkable creatures roam the ocean floor. The goliath grouper’s size, visibility, low birth rate and slow movement seem to trace another of Florida’s truly majestic waterborne creatures, the manatee, a protected species that also has considerable ecotourism value. If harvesting is allowed without verified stock assessments, goliath grouper could easily be thrown back to species extinction. In addition to concern regarding the stocks of these fish, DEMA also relies on the opinions of divers and dive-related businesses regarding the current harvesting status of goliath grouper. In a July 2017 DEMA survey of divers and dive professionals, more than 69% indicated their desire to maintain the current moratorium on harvesting the goliath grouper. Among those located in Florida, 64% indicated a desire to maintain the moratorium, while among those traveling to Florida to dive and see the goliath grouper while diving (bringing tourist and tax revenue to the state) the number rose to more than 77%. With the results of studies included in FWC’s February 8, 2017 presentation indicating high levels of mercury in the flesh of goliath grouper, and with a high economic value among divers, especially those from outside of Florida who are willing to pay $336.00 to see these fish (as compared to a maximum of $79 for fishers to harvest a goliath grouper), it seems most appropriate economically and scientifically to maintain the moratorium on the goliath grouper harvest. DEMA strongly recommends maintaining the current prohibition on harvesting the goliath grouper. Thank you for your careful consideration of this issue. Update: Have You Seen This Fish? This is an update of my Citizen Science project “Have You Seen This Fish?” to photo-identify individual Goliath Groupers. You can find more details about this project here. Since I launched the project on September 5, 2016, recreational scuba divers have shared with me, via Facebook or directly to the project email, 128 photos. The next phase of the project is to analyze the images. But I still welcome more photos! 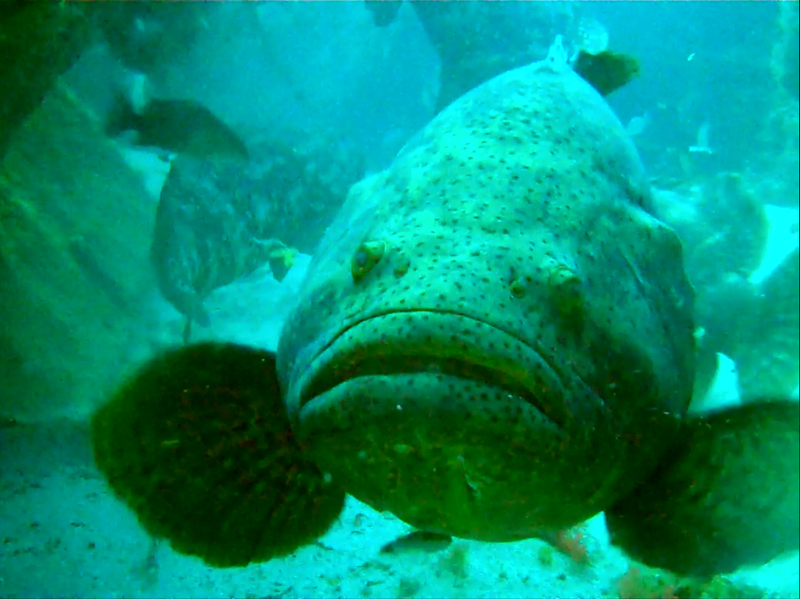 If you are a scuba diver and encounter a Goliath Grouper, you can still add your photo to this citizen science project. You can find easy to follow instructions here. Remember to follow proper Grouper Etiquette when diving with Goliath Groupers as explained here. 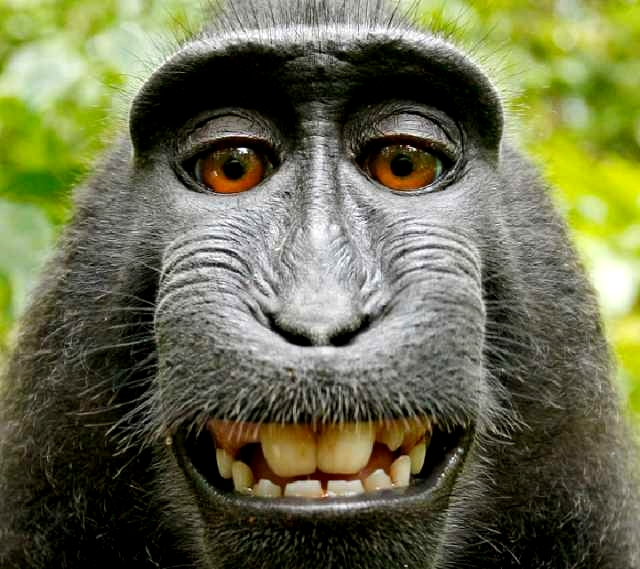 What the media frenzy ignored was how useful a monkey selfie, or a selfie of any animal, is for science. In many cases, there are unique marks on the animal’s face (facial markings) that make individual identification possible. And when you can tell one monkey from another, that’s when you can start doing some serious science in animal behavior and conservation. Did you ever wonder how a Goliath Grouper selfie would look like? The Goliaths don’t have opposable thumbs like primates (monkeys, apes, us), so holding a camera underwater (or a cell phone) will be impossible for the groupers. But you can do the selfie for them. And in doing so, you can make a great contribution to my research on Goliath Grouper behavior, and to the advancement of science in general.